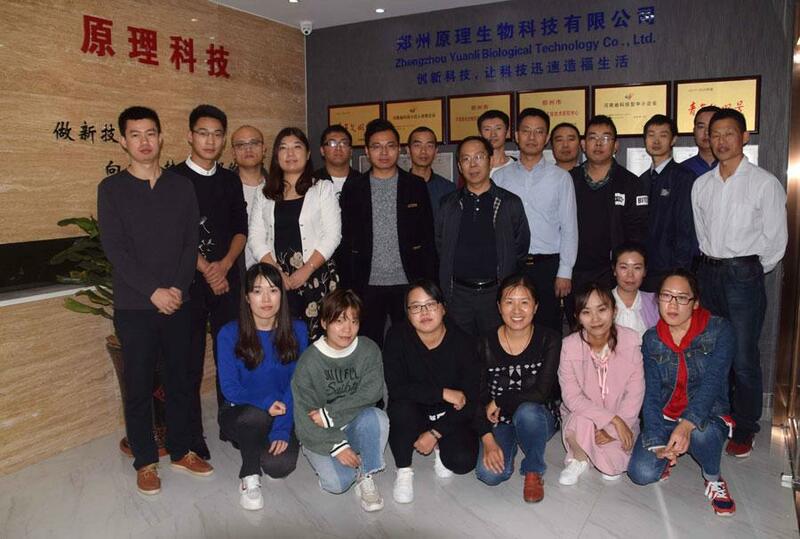 Zhengzhou Yuanli Biological Technology Co., Ltd. , founded in 2009, has been committed to R&D of chemical drugs, fine chemicals, new materials and achievements transformation. It is a comprehensive enterprise which is integrated by scientific research, high-end customization, industrial transformation and international trade. There are 165 employees, 131 of them are R&D person, 10 of them are PHD and Master. Under the leadership of the founder Mr. Wu Xiaojun, the company has cultivated a large number of outstanding talents. After years of painstaking research, it has reached the leading level in the technical development and product transformation, and get more than 20 transformation achievements. Providing products and technical services to 68 countries and regions. The company has applied for 16 patents, 12 invention patents have been granted. Leading by science and technology innovation, guiding by customer demand, through technological innovation, mastering core technology,transforming scientific and technological achievements to application rapidly is the typical feature of the company. In the past few years, we are known as one of the best company of combination of production, education and research, motivating technology transform into application. Company Mission: Innovate technology, and make technology benefit life rapidly! Company Vision: Be the best company of transformation from technology to application! Core Values: Unite, exceed, share, win-win. Business Ideas: Professional, dedicated, making every effort. Company Purpose: Create a stage for employees, create value for customers, create benefits for society, achieve dreams for shareholders.